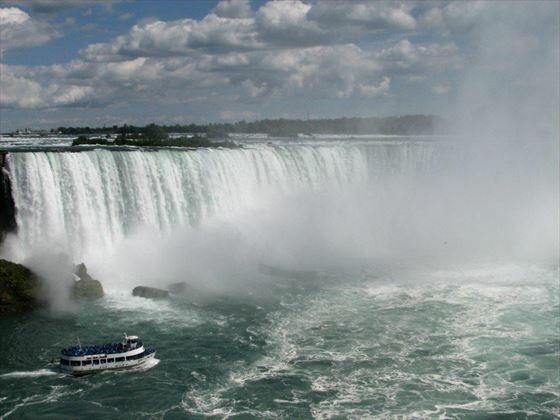 Niagara Falls needs no introduction – an iconic landmark which is both thrilling and beautiful. 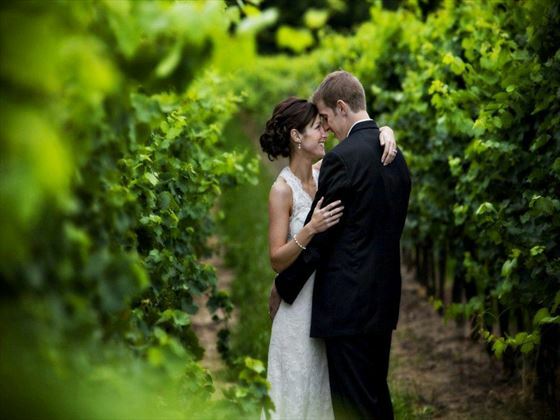 Say your vows amongst the serenity of the Niagara-on-the-Lake village and the verdant acres of vineyards. Naturally beautiful and romantic, the southwest shores of Lake Ontario are home to Niagara Falls and the 19th century town of Niagara-on-the-Lake. Experience the tranquility and charm of this area on your wedding day, set away from the hustle and bustle. 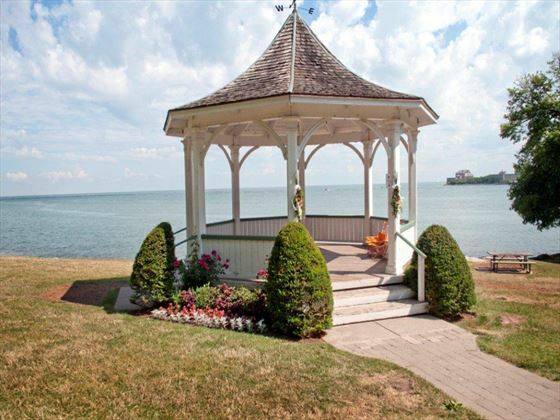 There are several options for your ceremony location, including the gazebo by the lake and the vineyards by the edge of Lake Ontario. 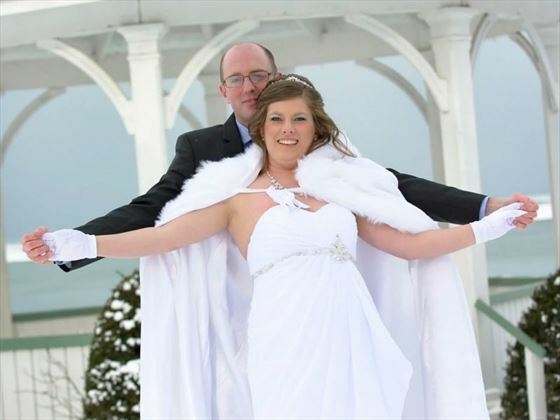 And if you’re selecting the Deluxe or Luxury wedding package, you can have your wedding photographs taken by the famous Niagara Falls – a just a short 30min drive from where your ceremony will take place (Based on staying in Niagara Falls). Legally you could get married the same day as you arrive, however, we recommend you have a couple of days to get used to any time change and orient yourselves. You can apply for your wedding licence online before arriving into Niagara (cost of the licence is not included and is paid for when collecting your licence from Niagara Falls City Hall. The marriage is valid for 3 months from the date of issue. Marriage licence (applied in Canada) - $125 licence fee required (in cash) when collecting wedding licence in Niagara (approx. £80). If you have been divorced, then the previous marriage dissolvent must be recognised in Ontario. Generally, the Wedding Planner will take the decree absolute across to Canada, swear an affidavit with a lawyer who then sends a copy of the decree with a letter that states in their opinion the divorce is legal and should be recognised. Then, the Ontario department concerned sends back a form stating the divorce is recognised. This can take a while but is generally done within 3 weeks of swearing the affidavit. There is a charge for this from CAD$170). Please do advise us if you have been previously married. 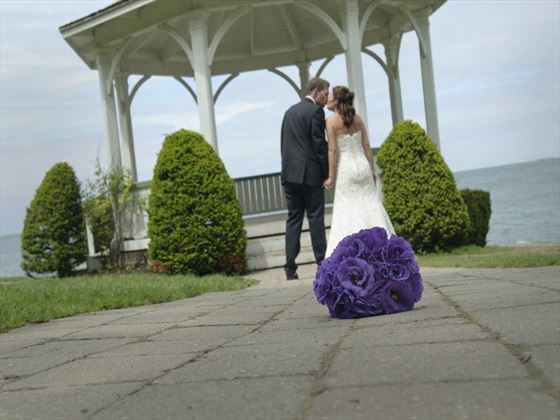 After confirmation of booking your wedding date and time in Niagara On The Lake, our local wedding coordinators, Maple Leaf Weddings, will be on contact with you by e-mail or telephone to arrange a date and time to meet up with you in Niagara On The Lake to welcome you, accompany you to the Niagara Falls City Clerks Office in order to collect your marriage licence, visit the options for your outdoor ceremony and discuss any final wedding arrangements. 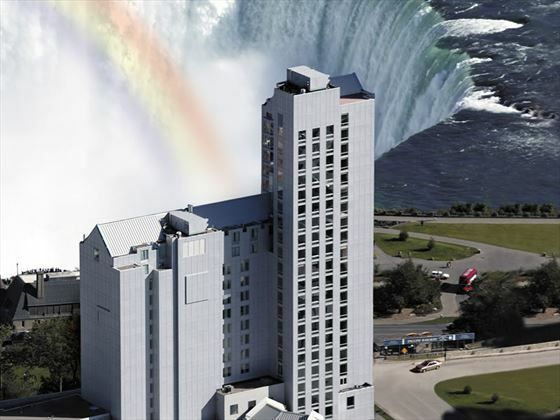 You must have photo-ID with you when you visit the City Clerk’s Office in Niagara Falls (unless you are collecting it at an alternative Canadian office). 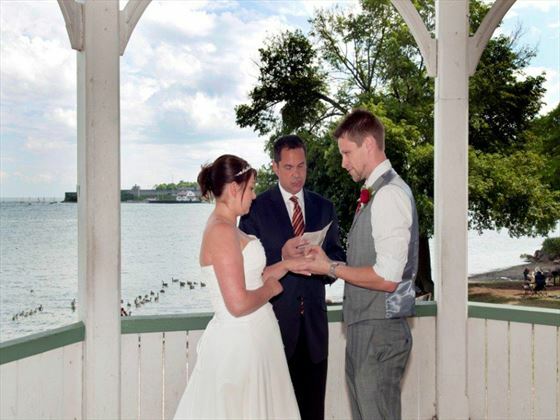 $125 licence fee required (in cash) when collecting wedding licence in Niagara (approx. £80). 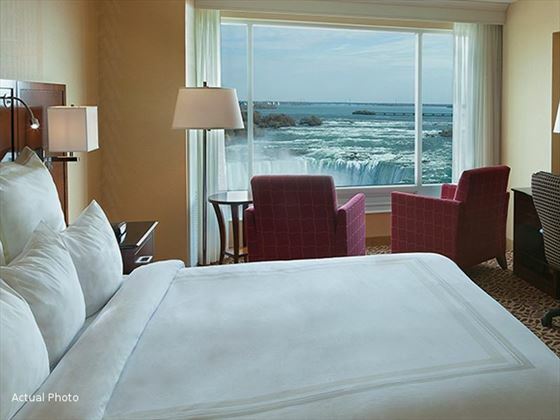 These are three of our favourite hotels in Niagara Falls which are ideal for a wedding or honeymoon, but there are plenty of other great options available to choose from - please call us for details. 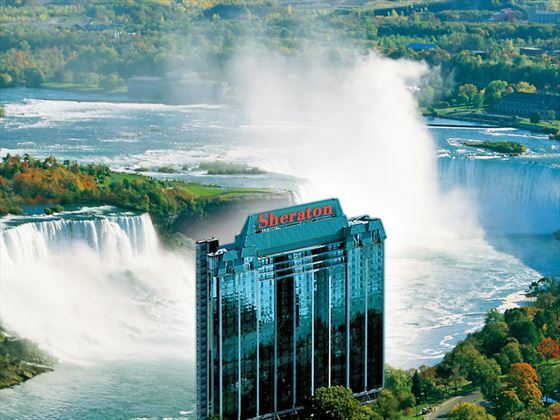 Why book your Niagara Falls Wedding with Canadian Sky?